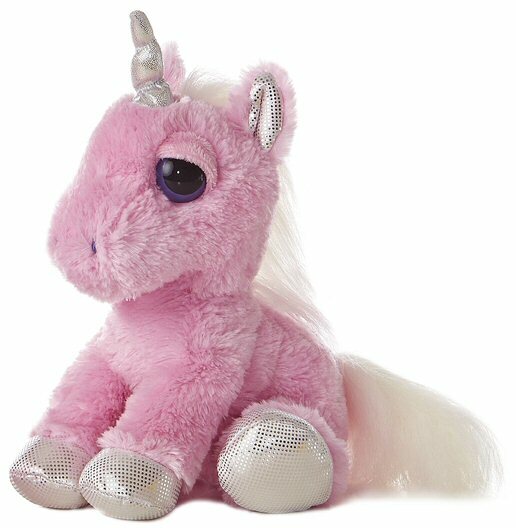 Heavenly, this beautiful Dreamy Eyes stuffed unicorn, is ready for hours of fun and adventure to mystical and imaginative realms. 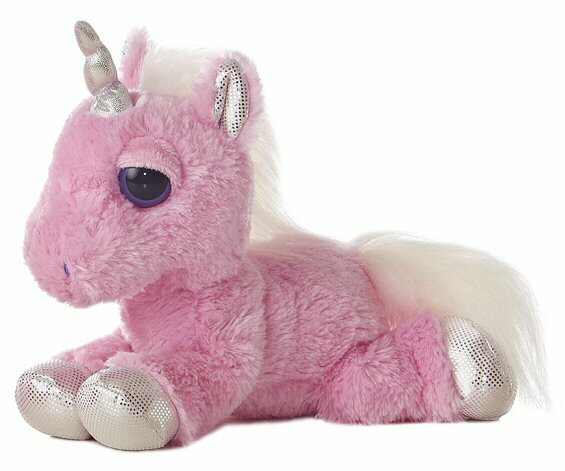 Thriving on lots of cuddling and snuggling, this plush Heavenly Unicorn has soft pink fur, fluffy white mane and tail, shiny silver hooves, horn, and inner ears, and big sleepy purple eyes. Standing, sitting, or just flopping down, this stuffed unicorn has a huggable understuffed body and is sure to be a friend for life.